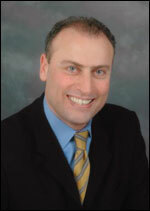 Dr. Badawi is a graduate of Boston University School of Dental Medicine. He is committed to providing his patients with only the best care possible and offers a variety of restorative and preventative dental services. He enjoys all aspects of general dentistry but his passion is Cosmetic Dentistry. Creating smiles that gives his patients much deserved self-confidence and joy is why Dr. Badawi loves his profession. He is the leader of the Unique Dental Care team and greatly admired and respected by his entire team. He is the reason that the Unique Dental Care team is truly unique! Dr Badawi was the Chair of the New Dentists Committee from 2002-2004 for the Massachusetts Dental Society and was named the Volunteer Hero of the Massachusetts Dental Society, 2004.